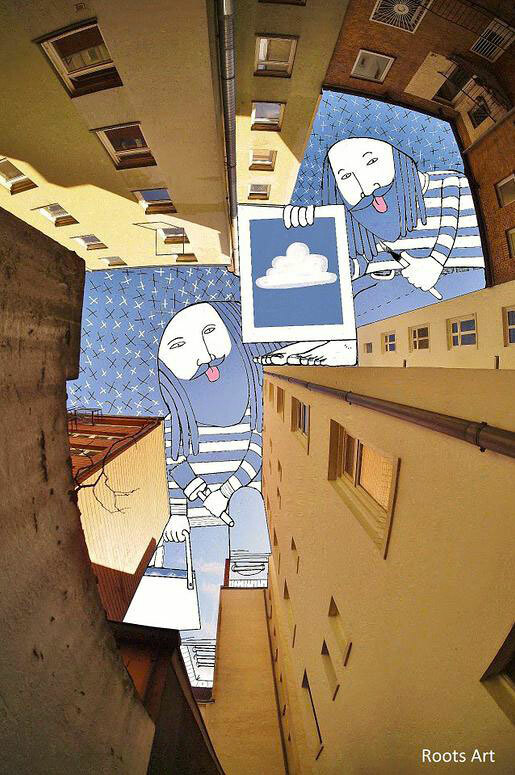 A young talented illustrator uses the sky as a canvas to show his artwork. 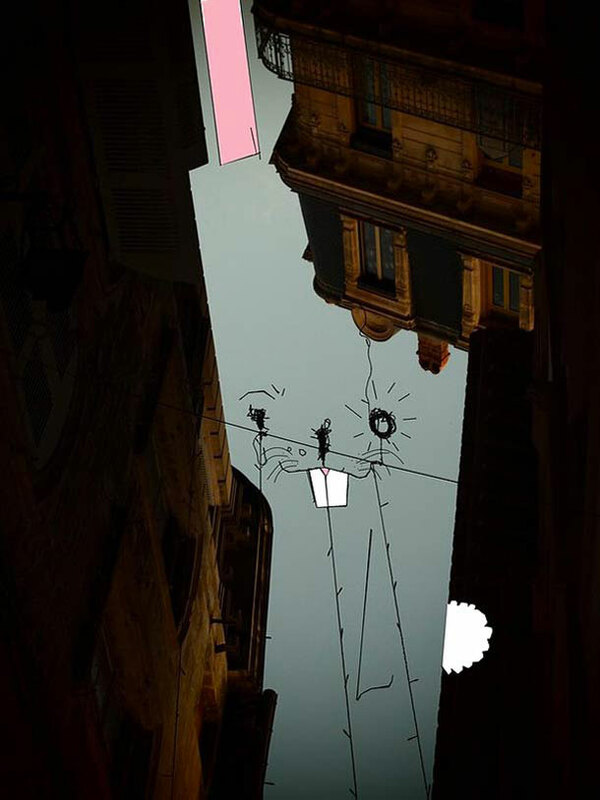 He likes to play with shapes to give a new life to empty spaces. 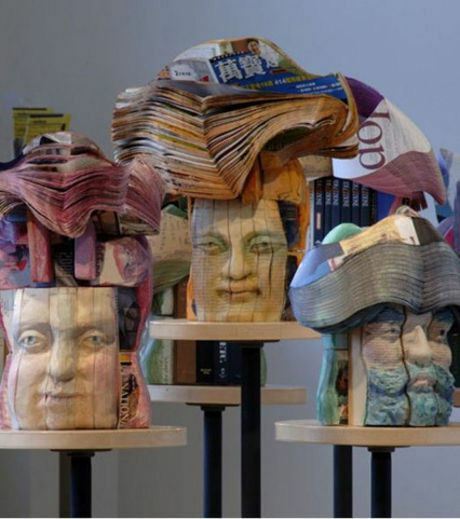 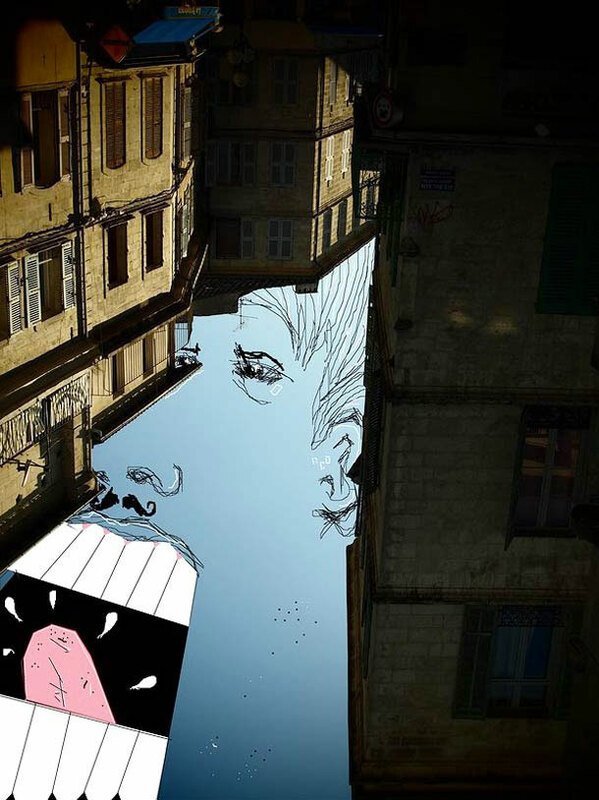 The imagination is the only limit for such artworks. 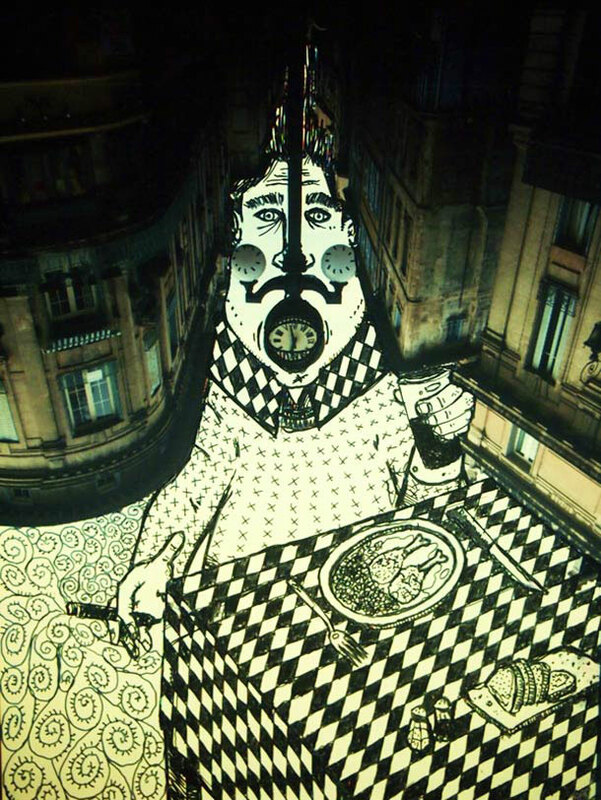 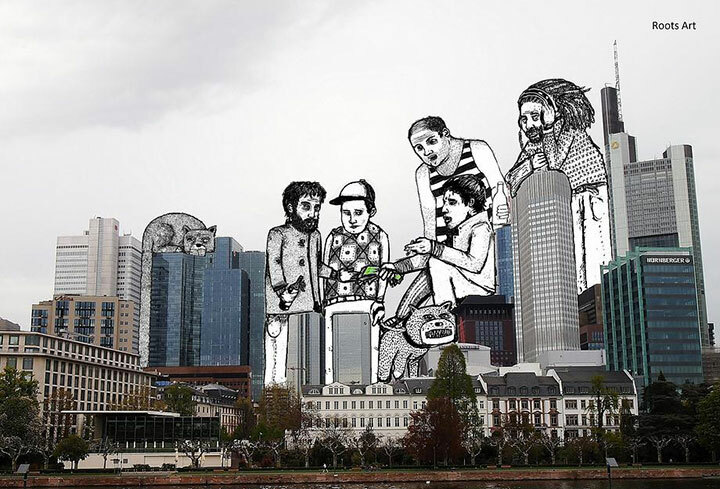 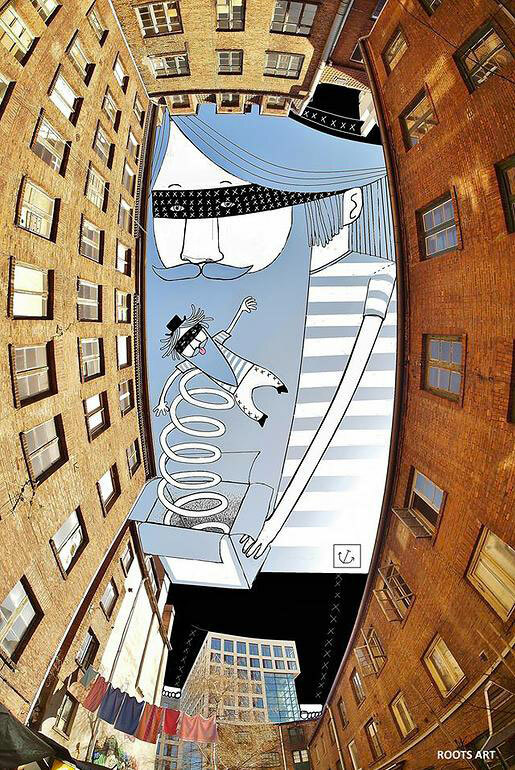 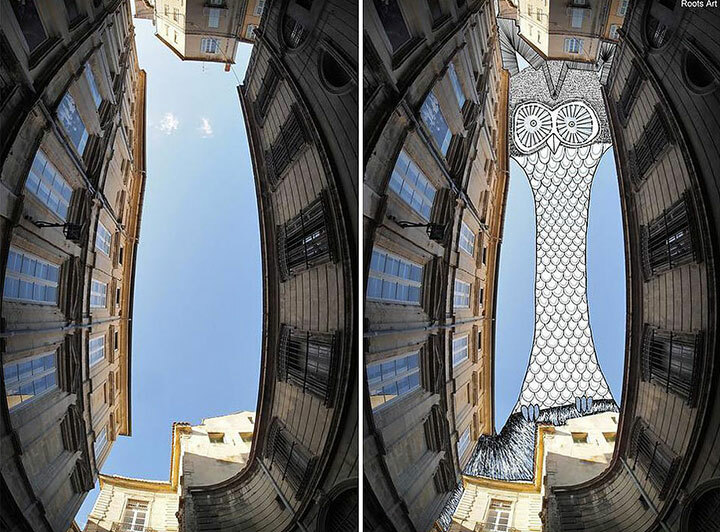 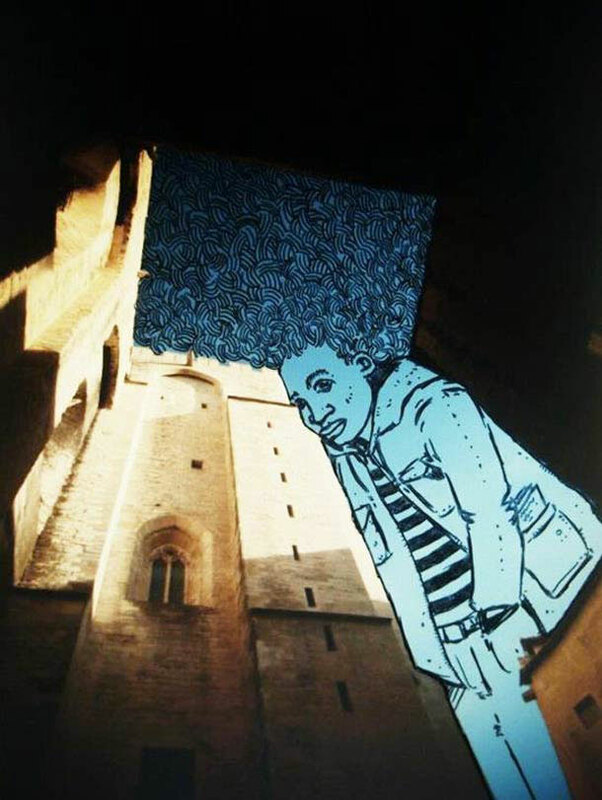 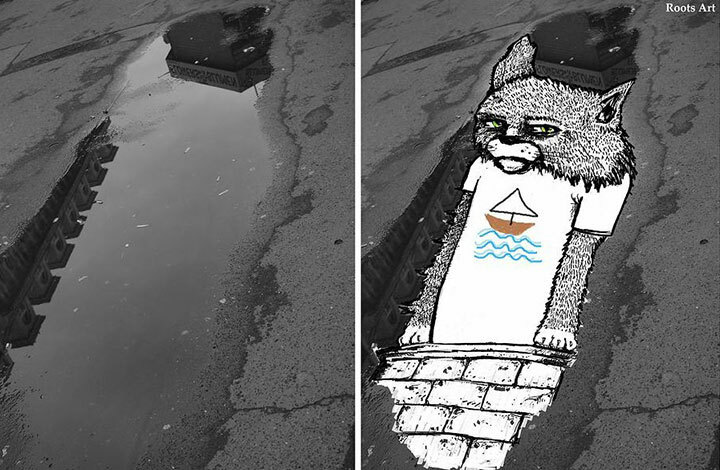 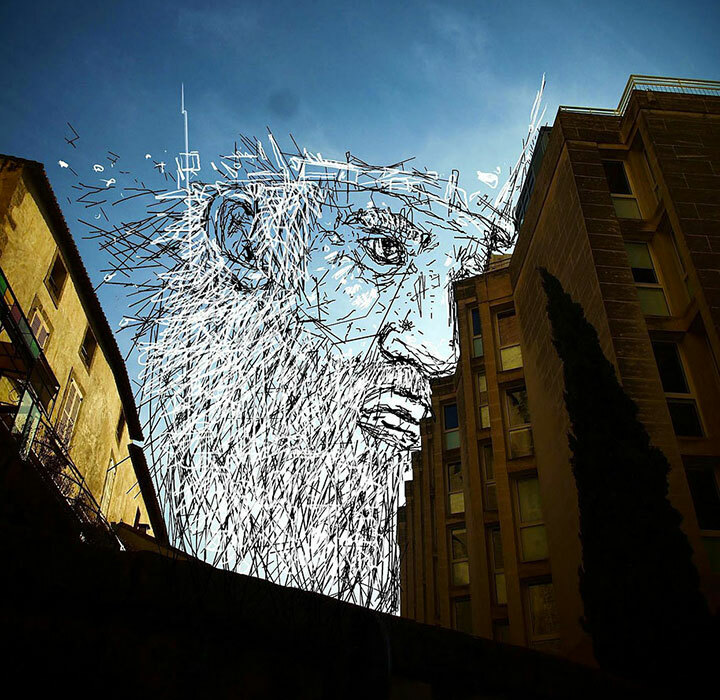 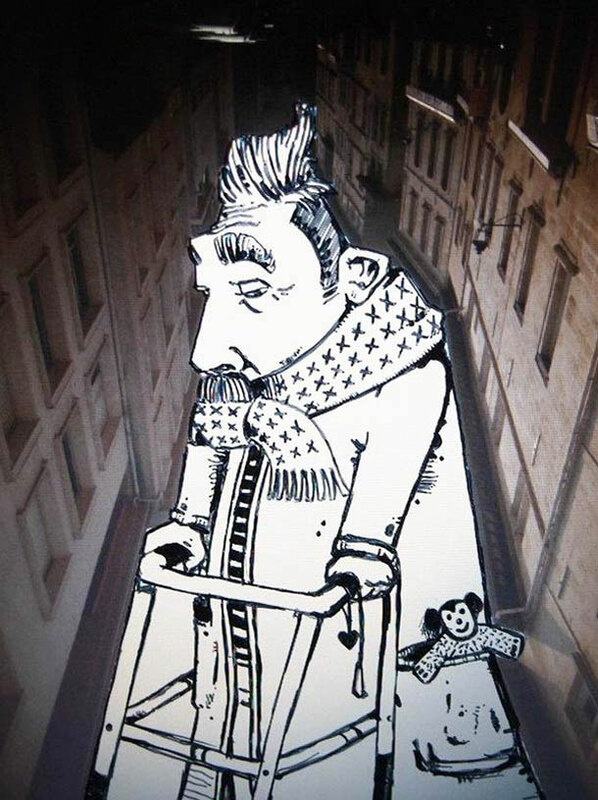 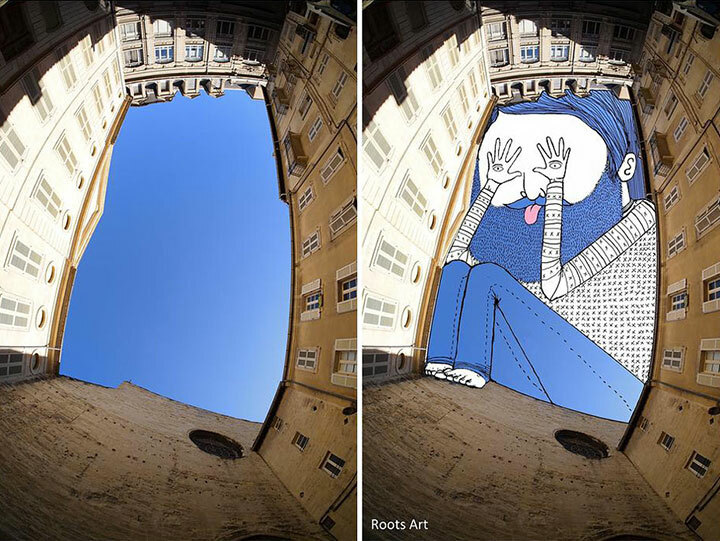 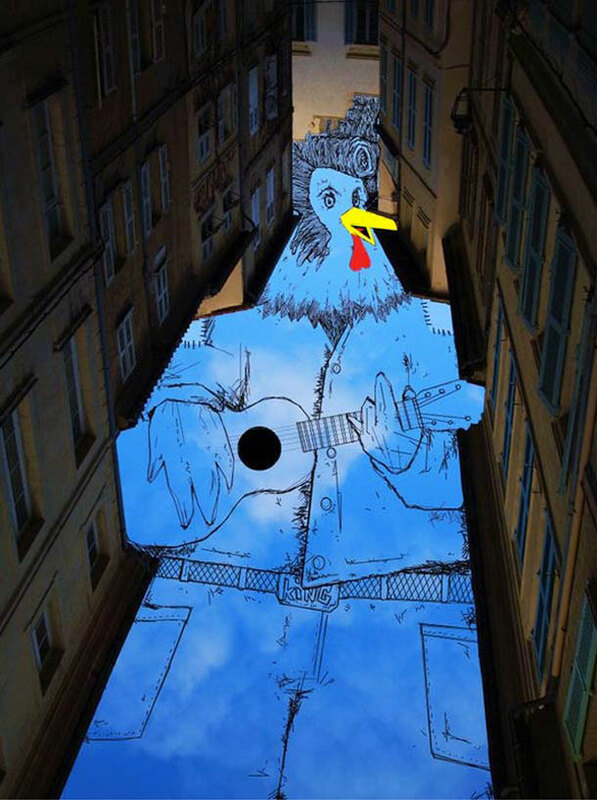 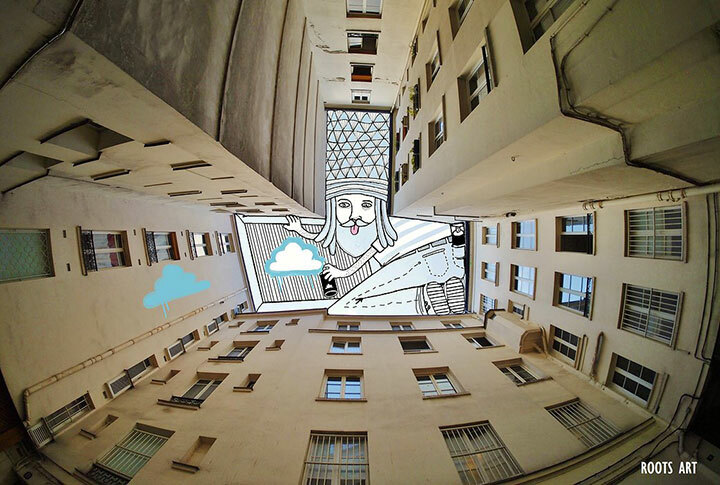 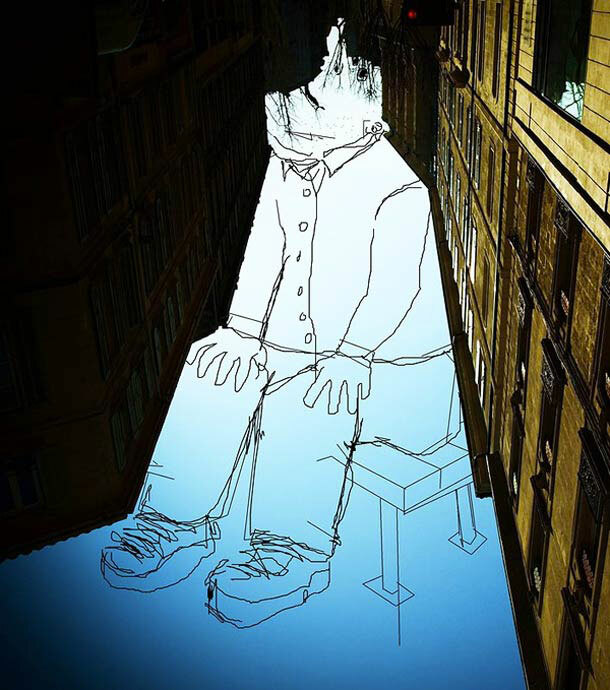 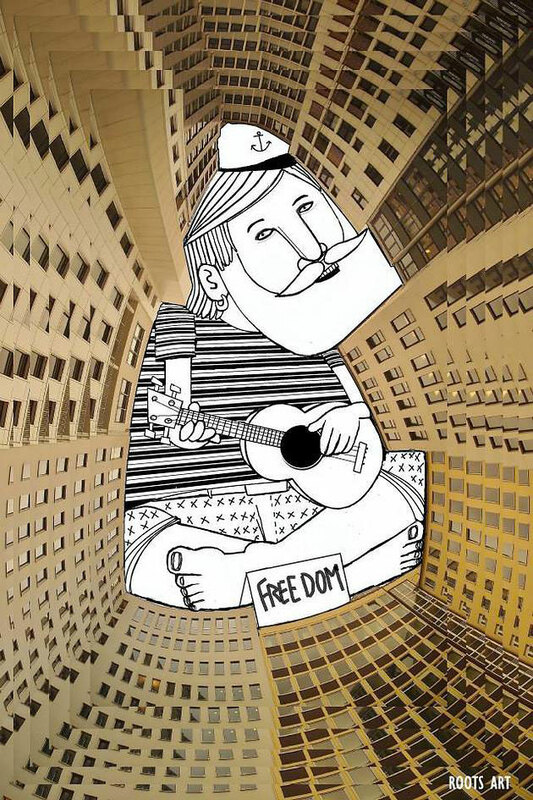 The French artist Thomas Lamadieu aka RootsArt is a young photographer and illustrator who appropriates the sky and plays with urban architecture to recreate the artworks in the gaps between the streets. 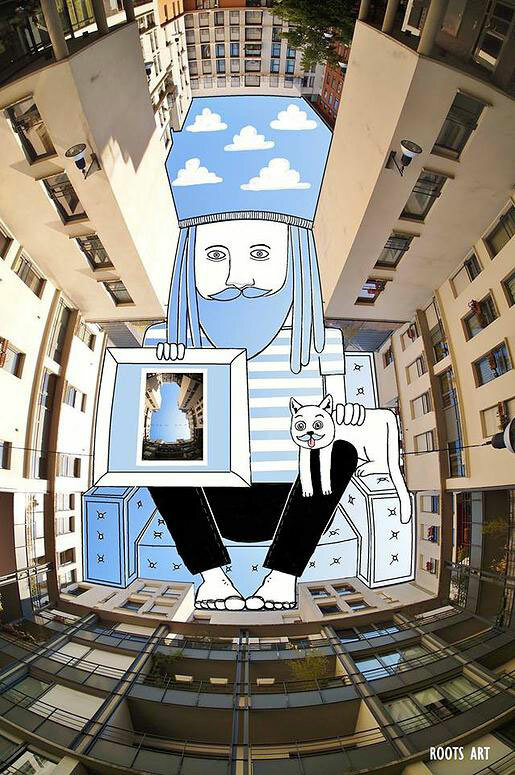 According to him, his artistic approach is intended to “show a different perception of urban architecture and the everyday environment that surrounds us.” Discover a world where the sky is not the limit. 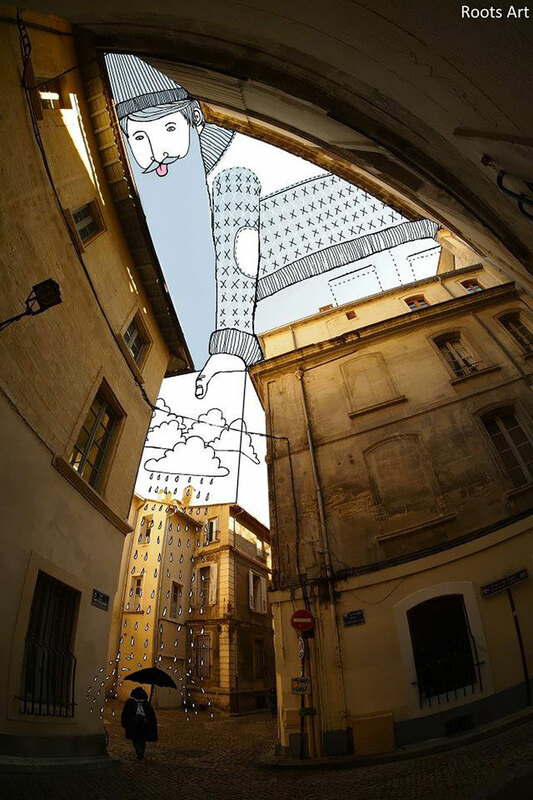 What a great idea to fill the sky with small and cute figures as above. 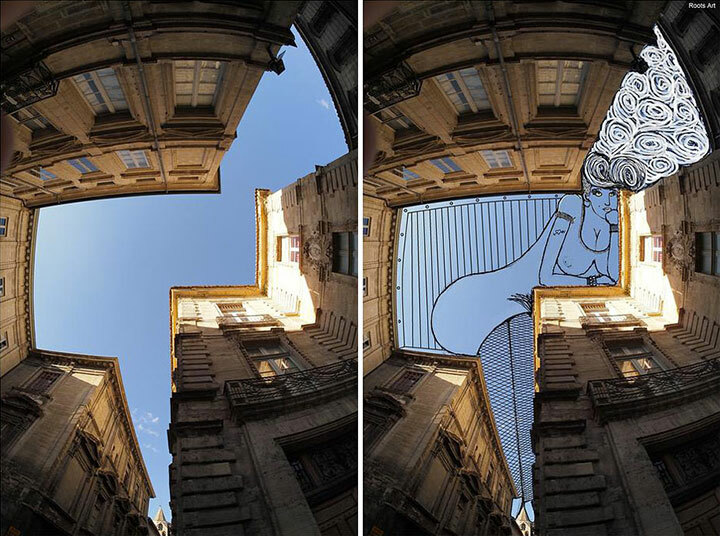 The artist has a wonderful imagination! 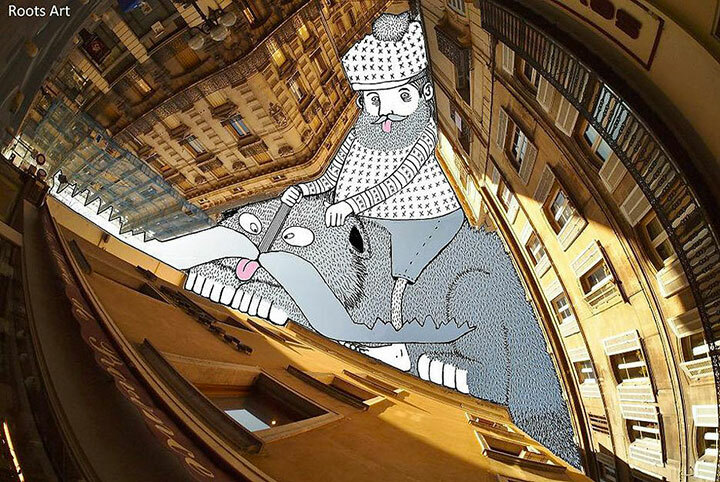 Did you enjoy the rather original works of this artist?